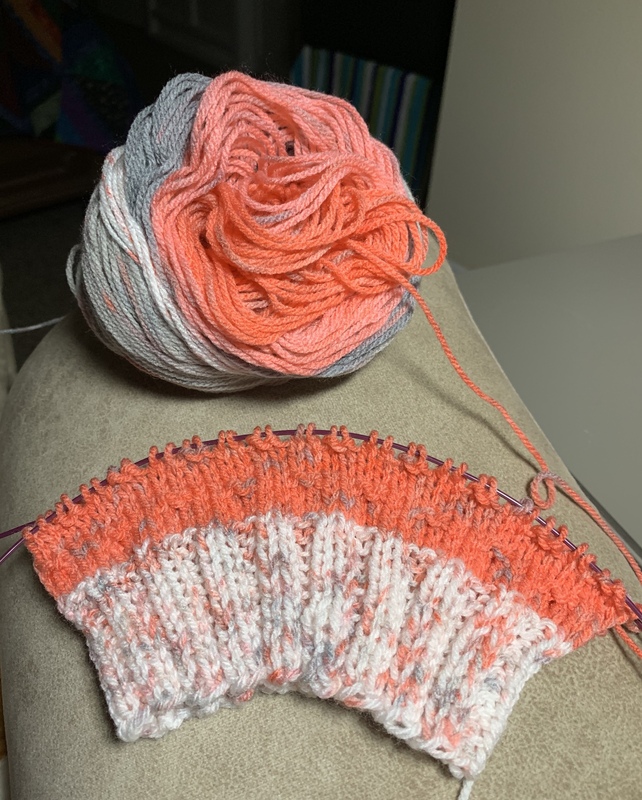 Magic Loop is definitely easier than switching to double pointed needles even though it’s more time adjusting the work during the actual knitting process. It will make it much easier to travel with hats as knitting projects – one needle start to finish and no worrying about the double pointed needles falling out! Cast on yesterday, another hat. Not without mistakes but I think I love magic loop knitting — so much easier than switching to double point needles. Love the “color” work too but not sure I like stranded colorwork … will check out slip stitch or mosaic knitting that doesn’t leave strands of yarn on the back side! I had Orkin coming today to do a spot treatment for termites … oh the joys of living in Florida! We do everything we can to monitor and treat so I try not to worry too much about termites and the damage they do. While I was waiting I decided I’d knit rather than sew because it’s easier to pick up and down when I know I’m going to be interrupted. SO, how do you knit in the round? When I knit socks (several years ago) I used the method of knitting two socks at a time on two circular needles. For hats, I’ve always switched to double pointed needles for the crown decreases but I’ve been wanting to learn another method. I though I’d just relearn the two needle method but it wasn’t clicking with my brain when I read a pattern a few months ago so today I decided I’d learn Magic Loop. 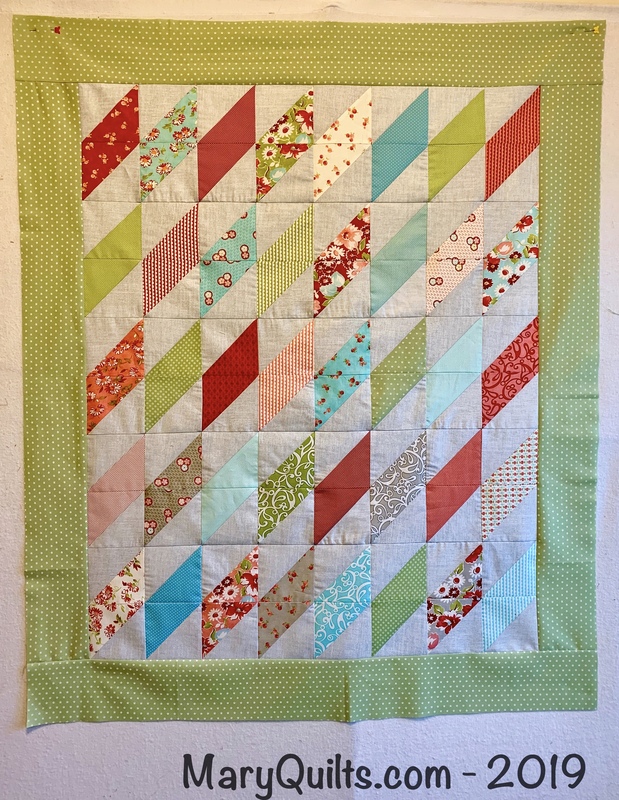 I read a couple descriptions, watched a video, and still didn’t think I was getting it right so I did another search and a BluPrint class came up on Google (Craftsy is BluPrint now if you didn’t know). I have an annual membership so I can watch any of the classes — I went to the website, and pulled up just the part of the class that told me how to knit a hat using magic loop. One good thing about the annual membership is that I don’t feel like I have to watch the whole class to get my money’s worth and can just watch the section I need. In addition to the video showing me HOW to knit the hat, I get the pattern in the course materials also. This particular pattern also has some color work which I’ve never tried before and I almost just made the hat without it but then felt that I might as well learn that today too! I’ll knit a few hats using the magic loop method and then decide if it’s easier for me than switching to double pointed needles. If you’re interested in the BluPrint class it’s this one – Knit Lab: In the Round. She also shows you other projects and ways to knit in the round but lucky for me, she demonstrates the hat using Magic Loop.